George MacDonald (1824-1905) is here studied as a Scottish writer: Robb analyses what is perhaps his best novel so as to illuminate both the mind of an important nineteenth-century writer and also the times in which he lived. The work ends with a ‘Summary of Alec Forbes of Howglen’ and a list of editions published in MacDonald’s lifetime. 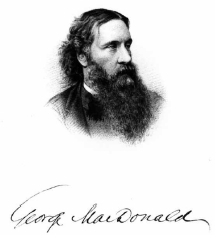 There is a reduced rate for members of the George MacDonald Society!